Q: How can I move Digital IDs & Trusted Certificates that I have from my old computer to my new computer using PDF Studio? 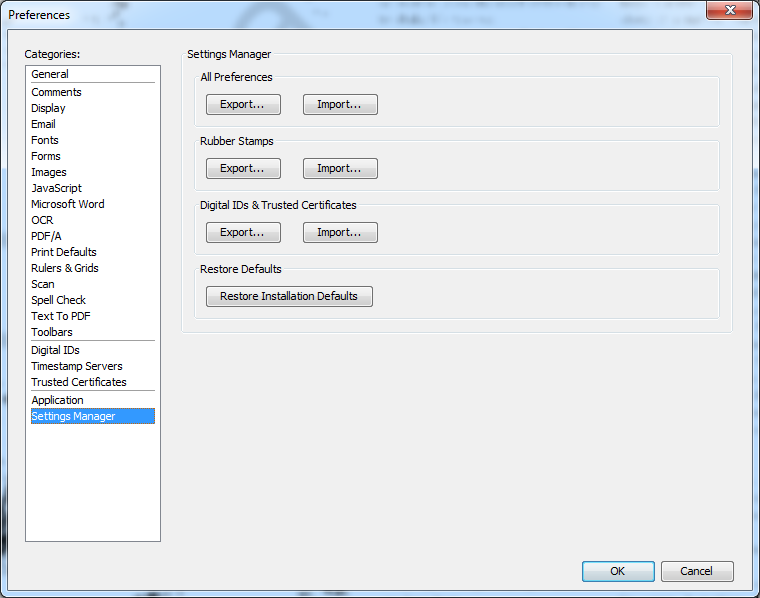 A: Starting in PDF Studio 11 and above, you can export and import Digital IDs & Trusted Certificates using the settings in “Settings Manager”. NOTE: When importing Digital IDs, all current Digital ID settings will be overwritten by the imported settings file.